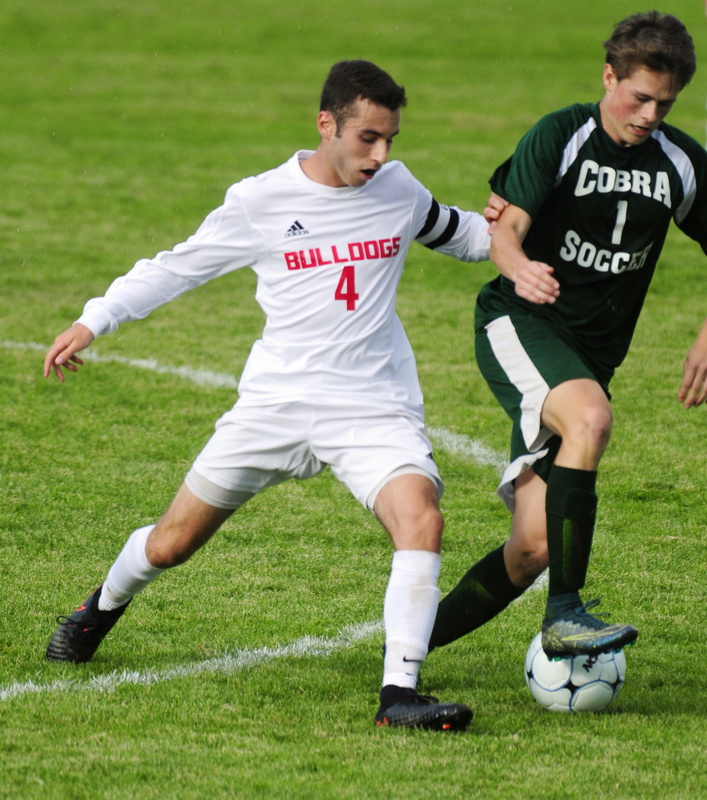 Bulldogs take care of Cobras with convincing MVC victory. 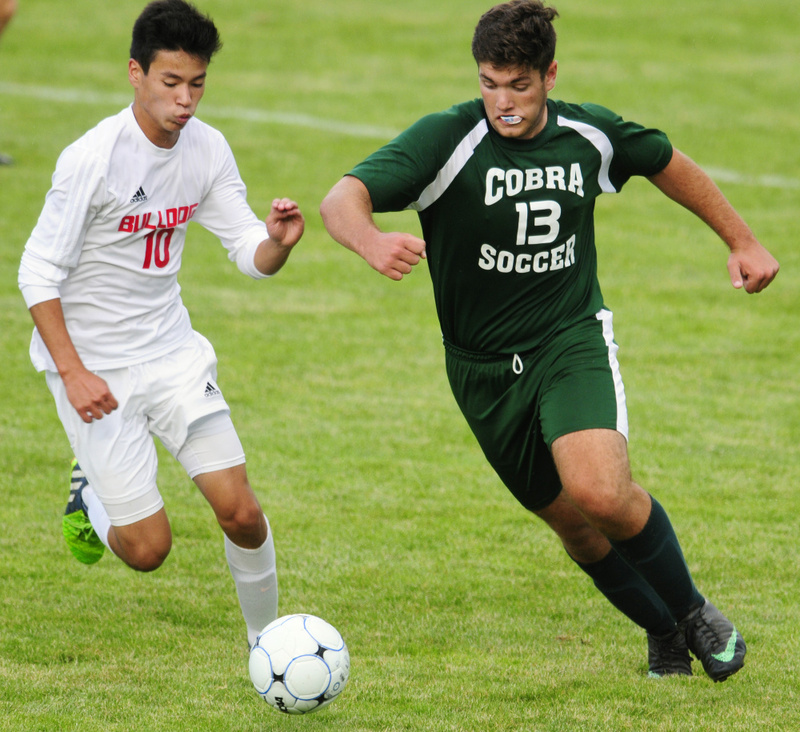 FARMINGDALE — The Hall-Dale boys soccer team figures to be a strong player in the tough Class C South division this year, based on returning experience alone. 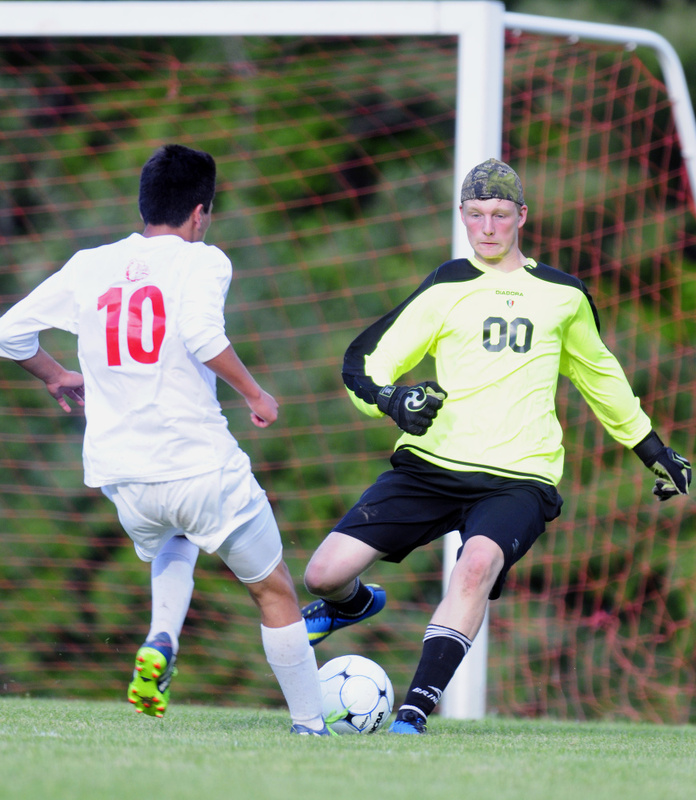 The Bulldogs displayed their quickness and passing skill Friday in a 5-1 Mountain Valley Conference win over Carrabec. Carrabec graduated several players from successful teams over the past two years and the Cobras may take awhile to compete against the top teams. 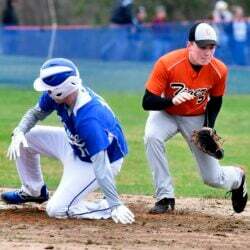 To compound matters, they were playing their season opener after their first two games were postponed. 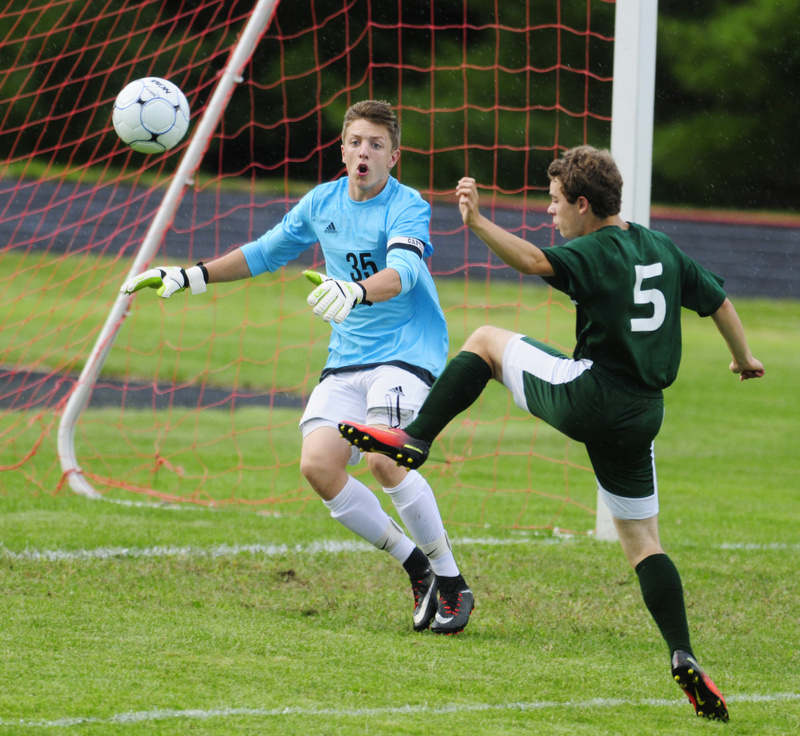 Nadeau’s sophomore brother Josh added a goal and an assist while Akira Warren and Alec Bryon also scored. Cavan Weegler scored for the Cobras. Tyler Nadeau put the Bulldogs (2-0-0) on the board just four minutes into the game as he wove between three defenders in the middle of the field and beat Cobras goalie Brad Clark (11 saves) to his left. Byron made it 2-0 three minutes later when Tyler Nadeau sent him in alone on Clark with a pass over the defense. The Cobras scored on their first shot of the game when Weegler collected a loose ball in front of the Hall-Dale goal and beat keeper Jett Boyer (four saves) from point-blank range. 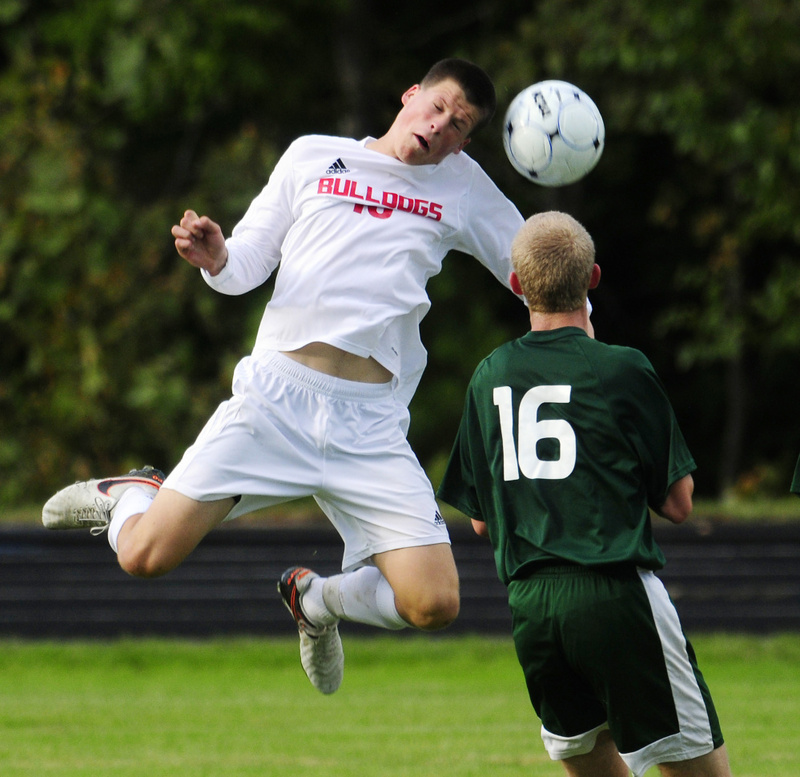 The Bulldogs got the goal back before the half on a fluky shot from Josh Nadeau, whose free kick from just inside midfield found its way past a couple of defenders after Clark was pulled out of position. The second half was more of the same as the Bulldogs dominated the ball with short, crisp passes while looking for over-the-top scoring chances. “That’s definitely a great style to watch,” Vicneire said. Warren made it 4-1 early in the second half after Austin Stebbins chipped a pass over the defense into the middle of the penalty area 10 feet in front of a defenseless Clark. 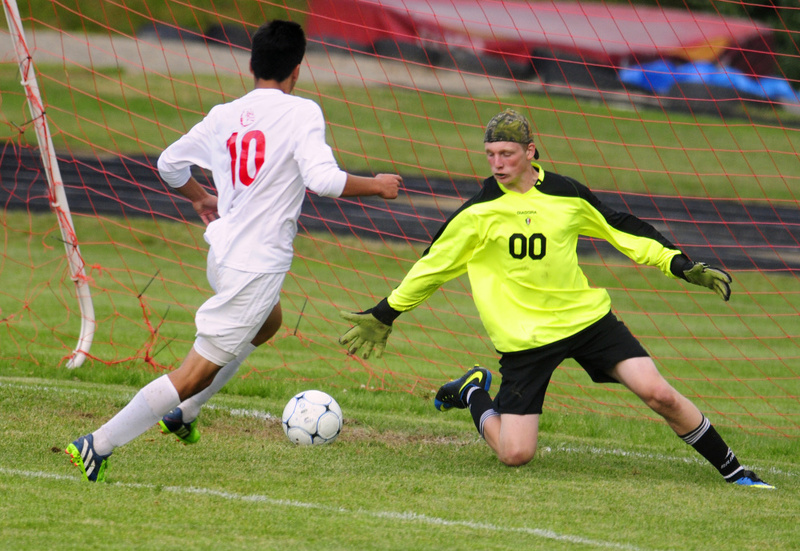 The Nadeau brothers combined for the final goal with Josh passing to Tyler with eight-and-a-half minutes to play.